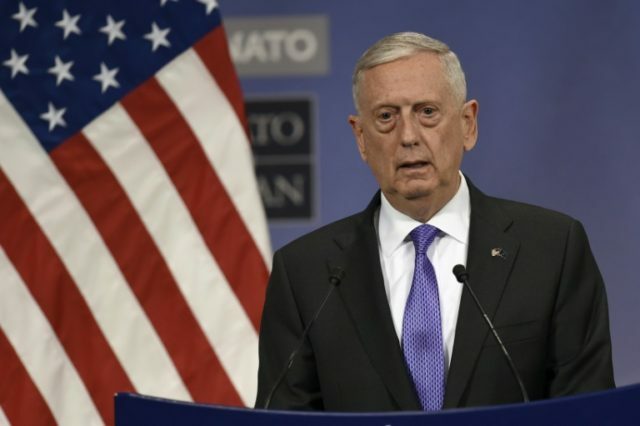 New Delhi (AFP) – Stronger military ties between India and the United States should not affect relations with neighbours such as Pakistan, US Defense Secretary Jim Mattis said ahead of a visit to New Delhi. The Pentagon chief arrived Monday for a 48-hour trip — the first to India by any member of President Donald Trump’s cabinet. “This is a historic opportunity for our two democracies at a time of strategic convergence,” Mattis told reporters on his flight. He is to meet Prime Minister Narendra Modi and his new defence minister in New Delhi. The US president also chided Delhi’s arch-rival Pakistan for offering safe haven to “agents of chaos”. When asked how he would balance the India-Pakistan dynamic, Mattis stressed that the relationship the United States is pursuing with India is “not to the exclusion of other countries”. In 2016 the United States designated India a “Major Defence Partner” with the aim of improving military cooperation, increasing information-sharing and cutting red tape to ease defence deals. Mattis’s predecessor Ash Carter pushed hard for stronger defence ties and the Trump administration has the same aim. The two sides will be “discussing joint efforts to advance common goals through a broader strategic exchange of views”, Mattis said.